Metrosaga was not created by us. YOU created Metrosaga. If Metrosaga has changed to a very engaging content platform, the credit goes to you, the GENERAL PUBLIC. Yes, we follow the trendy news, write the content and put the best images. Deep inside us was/is the passion to give exciting content that is the talk of the town and fulfil your lust for better information. And yes, as sincere Bangaloreans, we also write articles on our old rich Karnataka tradition. For example, temples, tourist places and many more. 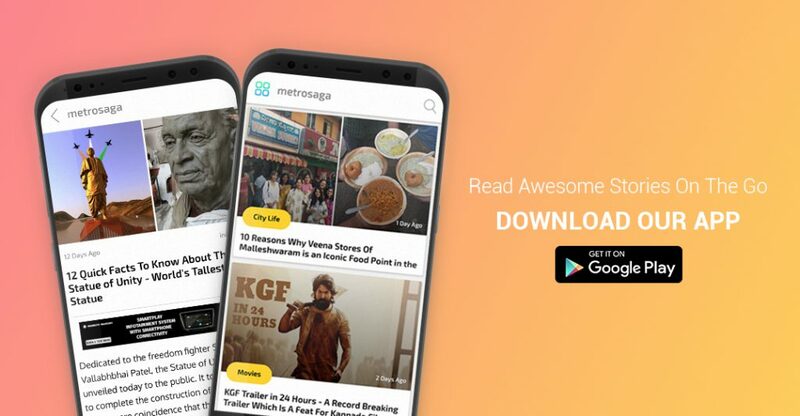 In Metrosaga, you will get content that caters to every niche – Travelling around Karnataka, mouthwatering Kannada recipes, Lifestyle in places around Karnataka, Politics in the State, the latest information on Kannada films and so on. So, subscribe to our newsletter to become part of our Metrosaga family.